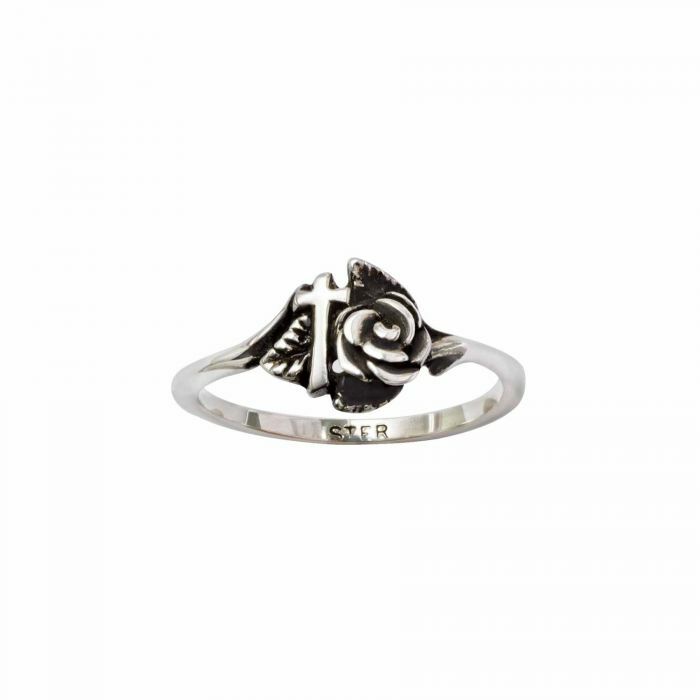 This solid sterling silver ring features a detailed rose and cross design. Available in sizes 3 through 9, including 1/2 and 1/4 sizes. Made in the U.S.A. Please note that this item can take up to two weeks to ship. 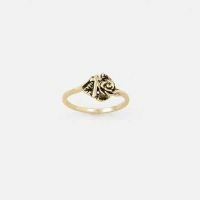 This handcrafted solid 14Kt gold ring features a detailed rose and cross design. Available in sizes .. This solid sterling silver ring features a braided band design with a dangling pointy tip cross. Ava.. 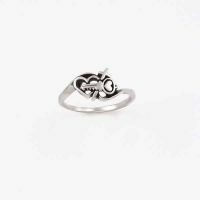 This solid sterling silver ring features an overlapping key cross and heart design. Available in siz.. This sterling silver ring is the perfect, regal gift for that special someone. The design features a..